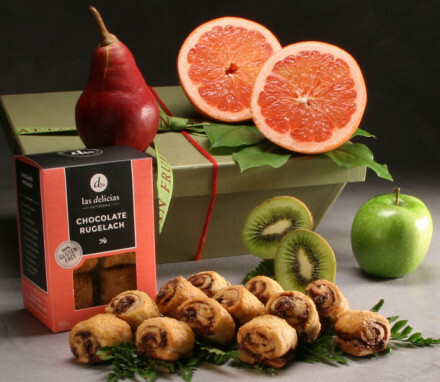 The perfect healthy snack gift that is both gluten free and vegan! Featuring classic snacking foods re-imagined by artisans with a focus on healthy ingredients full of robust flavor. Flamous Falafel Chips are a take on the familiar tortilla chip and the traditional Middle Eastern falafel combined into one delectable crunch. Organic corn and other vegetables, legumes, herbs and spices, are blended and then baked into a crisp bite that is every bit as addictive as any chip can be! We pair it with an all natural tomatillo and Serrano chili Fresca Salsa from La Fundidora (with bases in Mexico City and Brooklyn). Popcorn may be a ubiquitous snack food, but Tiny But Mighty Popcorn brings a new twist to an old favorite. Using heirloom corn kernels from tiny cobs, Farmer Gene made it his mission to make a microwaveable popcorn with small kernels and a thin outer hull that positively bursts with flavor. We even include the microwaveable brown paper bags. Peanuts in the shell are a traditional snack whether at the ballgame, after school, or during cocktail hour. 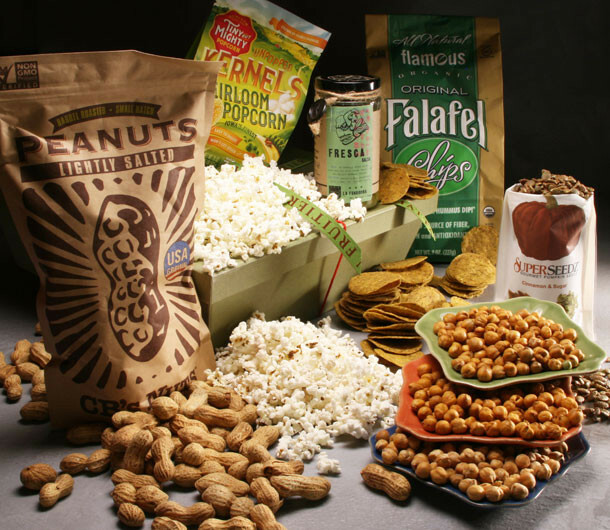 CB’s Jumbo Peanuts in the shell are made from all organic ingredients and then lightly salted and roasted slowly in barrels the time-honored way for maximum flavor by the Buchanan Hollow Nut Family Farm in California. Roasted chick peas have become a popular and health conscious way to enjoy a crunchy salty, or zesty or spicy snack by the handful and we include them here in three fun taste sensations. Last but not least, Superseedz Gourmet Pumpkin Seed Snacks round out the healthy snacking tour. Made with all non-GMO ingredients, these shelled pumpkin seeds are cholesterol free and packed with protein, iron and zinc for a tasty energy-boost between meals.